channelcentral.net is pleased to introduce HP Market Pro! HP Market Pro is the new Channel quotation tool for HP. Worldwide Distributors and Resellers of HP products are able to benefit from using HP Market Pro to create quotes and in turn work more efficiently, quote more accurately, increase deal sizes and operate a Device as a Service (DaaS) business model. HP Market Pro has been developed from the ground-up to be closely aligned with the HP product set and give Channel users the ultimate opportunity to grow their HP business with ease. Built for use with DaaS to assist with buying and selling technology. This fantastic new tool has replaced the iQuote Configure, Price, Quote service for HP Inc. users. Current users of the iQuote tool moved over to HP Market Pro throughout June and feedback so far is really positive. Users are able to use the tool without any prior training and start maximizing their HP business opportunities. HP Market Pro is available to all authorised resellers of HP products. 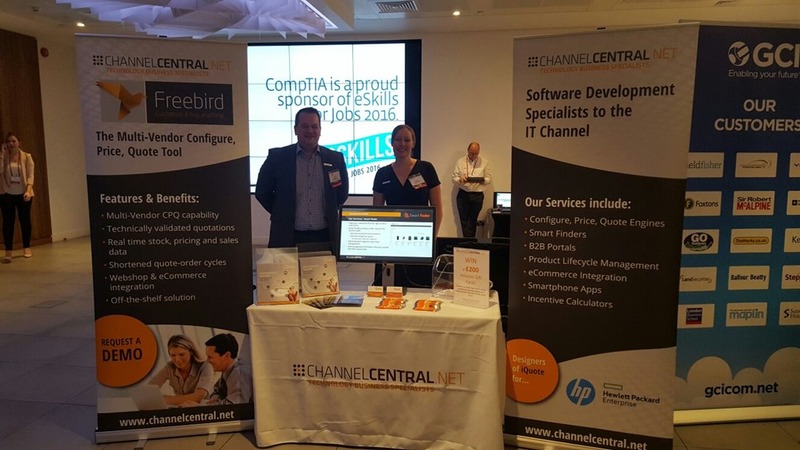 If you want to benefit from this fantastic new tool, then contact channelcentral.net and we’ll talk you through the requirements and get you set-up and growing your HP Business in no time. Traditional IT buying and selling motions are under pressure to evolve. Our Chief Strategy Officer, Greg Starks, believes that, “The lines between traditional upfront selling and Device-As-A-Service/Software-As-A-Service will continue to blur. The channel [distribution] will offer hybrid financing that address selling upfront + As-A-Service together. This will allow partners and customers to visualize packaged As-A-Service offerings alongside financed custom solutions as a comprehensive OpEx payment timeline.” We hear manufacturers talking about Device-As-A-Service every week. We recognize the role that distribution now plays in the ‘As a Service’ IT procurement model and partners who engage closely with distribution will be more successful. As-A-Service offerings will increasingly be seen as a way of ‘locking customers in’ and earning their loyalty. Everything that is offered ‘As-A-Service’ needs to be validated, yet you still want to give your customers choice and not be too prescriptive. Packaging/bundling up an ever-wider number of products, whilst managing your customers’ journey and still offering them choice, will create a need for more sophisticated eCommerce sites that have integrated Configure, Price, Quote (CPQ) software. Without this, the management of these offerings is extremely resource intensive. Traditionally, distributors have had to assist customers with their hardware configurations or ask them to click out to hosted CPQ software. There is still a time and a place for this level of complexity but we will be seeing a shift in the market. Already, hosted CPQ Software has an ever-growing number of attach options to fulfil the ‘As-A-Service’ model but what if Partners can leverage their offerings even more easily than that? Greg Starks, thinks that “Manufacturers and Distributors will invest in point solutions to bring just enough CPQ Software into self-service IT buying. Beyond just configuration, tools that help to shape demand toward the high-confidence products that can be delivered immediately.” These are likely to be served as ‘plug-ins’ to eCommerce systems with full basket integration. As distribution advances its capability to aggregate their breadth of suppliers into packaged “As-A-Service” offerings, smart Partners can take new, more appealing sales propositions to their customers. In the Noughties End Users would reach out to their resellers when they had CapEx available to spend on a specific project. 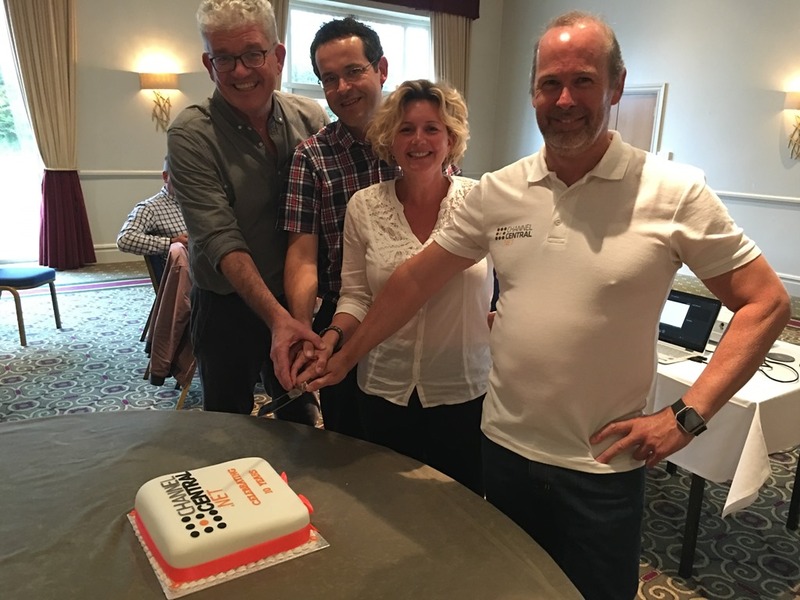 If a Reseller won a €2m deal one year they’d be expected to win one next year and the year after. How do you resource that? Fast forward to now and that’s now OpEx spread over several years. 1. Partners become strategic to their End User as they sign long-term contracts to provide IT Cloud or Infrastructure projects based on a Managed Service. 2. Distributors now represent hardware, software, services, finance and cloud vendors making the choice of solutions near infinite. Partners can guide end users to truly optimized solutions. 3. Partners (usually) bill the customer monthly and that’s a good thing – consistent interaction with a customer gives Sales opportunities to engage, seek feedback on the effectiveness of the solution and identify new opportunities. 4. Software-As-A-Service is incredibly easy to audit versus traditional licenses ensuring the End User is compliant but also the sales opportunity is maximized. Businesses without full “license” compliance equals a lost revenue opportunity as well as a risk to their business. 5. Working indexing into contracts means that margin is protected over the term (example would be linking the price to the Retail Price Index or similar). 6. There’s such a great opportunity for partners to differentiate here and that means less price comparison. 7. End-users need help. Yes, commodity resellers sell servers and over time similar companies will use technology to improve that experience, but partners are best placed to recommend solutions. Do you need help implementing your As-A-Service business model? We can certainly assist. Just contact us for an informal discussion. We’d be glad to offer you advice. See the All New iCreate Software for Westcoast! We are delighted to announce the latest release of our iCreate Configure, Price, Quote (CPQ) Software for Westcoast Distribution. The Software is now bigger and better than ever. It has never been easier for Resellers to sell the entire HP PC range to their customers’ exact requirements. And best of all…it is simple and easy to navigate! 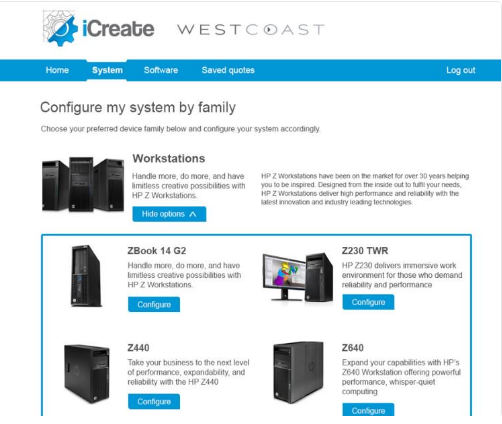 Use the Westcoast iCreate tool today for all your HP business. Visit Westcoast iCreate. iCreate is developed exclusively for Westcoast Distribution by channelcentral.net. channelcentral specialise in quotation software to enable the IT Channel Worldwide. How can you manage multiple Vendors and your entire Channel more efficiently? Configuring, Pricing, and Quoting products from multiple Vendors can be a challenge for any Distributor or Reseller. Now you can manage them with a single tool and shorten your quote-to-order cycle, ensure quote accuracy and align your go-to-market strategies. Multi-Vendor Configure, Price, Quote (CPQ) Software can manage all of your product data feeds, configuration rules, pricing and stock for all of your chosen Vendors’ product lines. With Multi-Channel capability it can be used by your internal sales/technical/product teams, your customers and even your customers’ own customers! Freebird CPQ Software, developed by channelcentral.net is a service which offers Multi-Vendor, Multi-Channel and multiple product types too. Watch our latest video to learn more about Freebird. To discuss Freebird, contact us today. CPQ solutions from channelcentral will save your company money on IT expenditure, whilst increasing the efficiency of your sales teams and your eCommerce reach with your customers.